Coburg were outplayed against Casey, one of the in form teams of the competition, at Casey Fields on Saturday afternoon. The first quarter saw Coburg play attacking football, putting Casey under all types of pressure. A Sam Binion goal had Coburg up early, before the Demons were able to kick a few late ones; including one just before the quarter-time siren sending the Lions into the first break down 17 points. Nick Mellington had an excellent quarter leading with 10 disposals and four clearances. Entering the second term, Casey upped the pressure and showed why they are one of the best teams in the competition. They piled on five goals to Coburg’s one in the quarter, meaning at the major break the deficit was now 43 points. Despite the margin, Coburg continued to fight which was matched by the stats; leading the clearances 49 to 35 at the end of the third. Playing in slippery conditions, Coburg continued to apply the pressure but were unable to capitalise on the scoreboard. 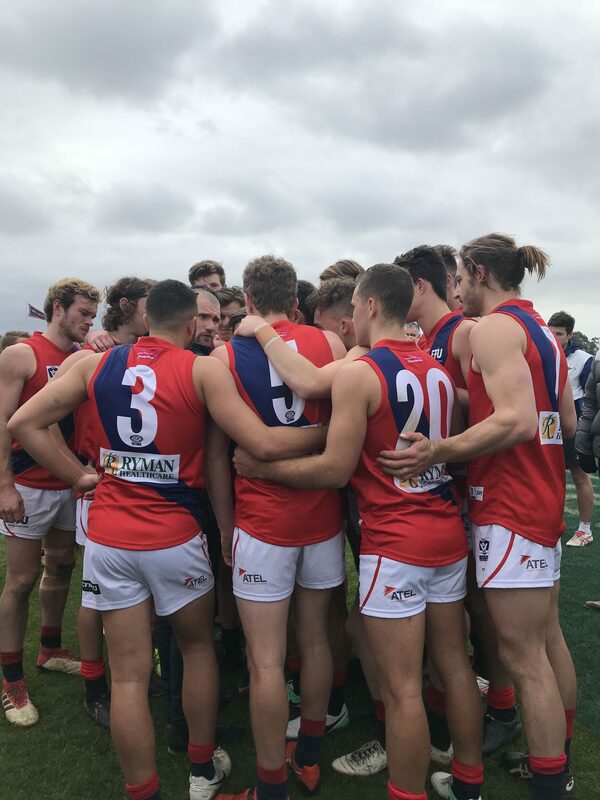 Some good signs were seen however, and there were definitely patches of confidence in the young Lions side. .
Coburg were able to limit the Demons to just three goals in the final term, playing hard and continuing to put the pressure on them with crunching tackles. Although the scoreboard did not look great, there were lots of positives that could be taken away from today’s game. . Speaking post-game, assistant coach Andrew Sturgess said that Coburg played really well around the stoppages. Next week Coburg will take on North Melbourne for the second time this season, on Sunday at Avalon Airport Oval. ‪Goals: Binion, Weightman, Belo, Conn.
Best: Podhajski, Guthrie, Exon, Allan, Gregory, Lentini.